Season 4 is Coming in 2015 – Zombies, Run! 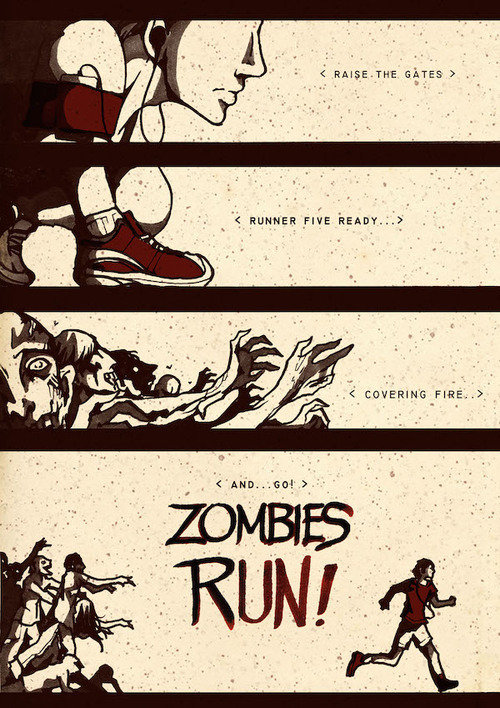 So we’ve hinted at it and mentioned it, but now it’s time to make it official: yes, Runner Five Will Return for Zombies, Run! Season 4. We’re just starting to plot out what exciting adventures Runner 5 will have in the next season, so there are really no spoilers to give. But you know, there’ll be terrifying enemies, horrifying scenarios, and of course heartbreaking moments to continue our tradition of Crying While Running. And there’ll be zombies. You may think you’ve beaten them down, you might believe that you’ve laid them to rest, but remember: you can’t kill something that’s already dead. I’m thrilled that despite the wonderful success of her novel Smiler’s Fair, I’ve managed to twist Rebecca Levene’s arm*, and she’ll continue to be my right-hand woman for Season 4. And many of the writers from Season 3 stay onboard. I’m very sad that Matt Wieteska’s retired from writing radio mode, but I’ve got a few surprises coming up on that front, and we’ll have plenty of announcements of exciting guest writers to come over the next months. We’re all so looking forward to getting stuck into Season 4, and I think it’s fair to say that Runner Five’s journey has only just started. There will be the walking dead, their flesh falling from their bones as they come for you with outstretched arms. There will be Sam being concerned and Janine being badass and Doctor Girlfriends… well, you’ll see. Above all, there’ll be mission upon mission when the only appropriate thing to do, the only possible thing to do, is: run. *basically blackmail, OK. I know what she did for the CIA in Cuba back in 1965.